Looking for Main Lug Load Centers? Get a quote fast. No built-in circuit protection? No problem. Unlike main breaker load centers, main lug load centers do not have a main breaker built-in. Rather, their circuit protection is provided by a main circuit breaker that is located further downstream in the electrical system. Instead of incoming power going through a main breaker, it is connected directly to the main lugs, hence their name. Main lug load centers are typically used as distribution panels, and it is not uncommon for main lug load centers to be fed by a main breaker load centers. In fact, main lug load centers are sometimes referred to as an “add-on”, as they’re used in conjunction with a main breaker load center when the main load center runs out of space. For small-scale and large-scale applications. Used across residential applications both big and small, main lug load centers are often fed by metering equipment in high-rise applications. Popular current ratings for main lug load centers range anywhere between 30A and 200A. So whether you need a 30A load center or a 100 amp main lug load center, not to worry - There’s a main lug load center to meet all your requirements. 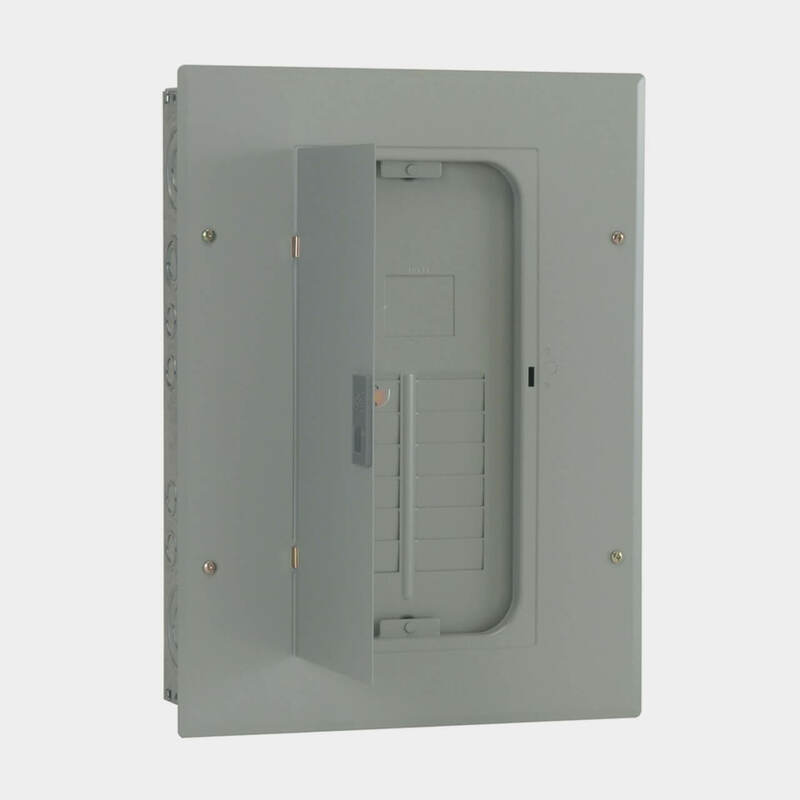 They can be installed either indoors or outdoors along with the appropriate NEMA rated enclosure, and are available in either single phase or three phase models. Looking for your next main lug load center? You’ve found it. Bay Power is the only stop you’ll need to make for your next main lug load center purchase. Combine our expert customer service with our extensive product selection and one-year replacement warranty on all our products and you get an unbeatable combination. Choose from a selection of industry-leading products including GE load centers, Square D load centers, Murray load centers, as well as products from Bryant, Cutler Hammer, Siemens and more. Don’t settle for anything less than the your preferred main lug load center. Have any old or unused Motor Contactors lying around? Don’t get rid of them just yet. While we stock a wide range of quality electrical products and solutions, both new and reconditioned, we also buy back your unwanted equipment. So, before deciding what to do with your old Motor Contactors and components, have one of our expert technicians take a look to see if we can save a few parts, save the environment, and save you some cash. Great service shouldn’t end after the purchase. We pride ourselves on the relationships we build with our customer-first mentality and the quality of our Motor Contactors and components. That’s why we offer a 1-year replacement warranty on all of our electrical products and solutions from the top manufacturers. Because when you buy with Bay Power, you buy with confidence. We are proud to stock a variety of competitively priced, new and reconditioned components from the leading manufacturers of Motor Contactors. Thanks to our extensive inventory of Motor Contactors and components, our resourceful and expertly trained staff will always be able to get the products that you need. Through our extensive network of suppliers, we are able to carry and acquire a huge variety of electrical products and solutions, so chances are if you need it, we can get it. Bay Power’s priority is providing you with reliable, high quality electrical hardware. That’s why our mission is to make sure our reconditioned electrical products and solutions function as perfectly as the day they were built. Because while the quality is high, the cost of Motor Contactors shouldn’t be. Our selection of new surplus Motor Contactors may not arrive brand new in a box, but they function just as well, and have never had electricity run through them. All of the quality, none of the packaging, always with our 1-year replacement warranty.